HI! Don't remember if anyone knows I dabble in graphics stuff, but I do. I took a break from it a while back and just recently got back into it, so I'm probably still a little rusty. If anyone wants anything from me, just lemme know! I'll have a little gallery thing, set up in this post showing what I've made. I'll add more as I get going. I won't have a code or anything for now, just try to be organized with what you ask for, please. And add reference pics that you want, if you can. I need one for Mr Flint! 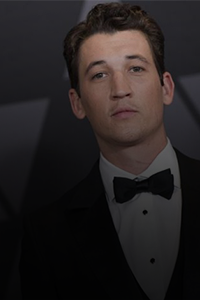 Faceclaim is Miles Teller. Pref. serious looking pictures of him in a suit. Death Eater/Slytherin stuff is good as well. Words either just his name, lyrics from Levels by Avicii or lyrics from Modern Girls & Old-Fashioned Men by The Strokes and Regina Spektor. I'd love a matching avatar. I like the big avatars! I actually changed the av just now lol, the other one looked weird to me XD But you can keep that one if you like! I do like the new one. Changing now! Cool, working on it now! Puns and Push Pins Galore!